AS YOU MAY HAVE GUESSED BY NOW I LOVE POTATOES. ITS FAIR TO SAY THAT THE FEELING IS MUTUAL AS MY INDULGENCE IN THE TUBER HAS HELPED ME TO GET MY HEALTH BACK. POTATOES HAVE BEEN GETTING A REALLY BAD WRAP THESE DAYS. ANY DISCUSSION ABOUT OBESITY AND FOOD AT SOME POINT BRINGS UP POTATO CHIPS OR FRENCH FRIES. WELL YES BUT LIKE MANY THINGS THAT ARE PURE NATURAL AND HEALTHFUL WE HAVE MANAGED TO FRY ALMOST ANY NUTRITION BENEFIT OUT OF THEM. BUT LETS TALK STRAIGHT. IT AIN'T THE TATER ITS THE OIL. IT AIN'T THE SPUD ITS THE LARD. IT AIN'T THE RUSSET ITS THE BUTTER, CHILI, SOUR CREAM, CHEESE, EXCESSIVE SALT AND RANCH DRESSING THAT ARE AT FAULT. AS YOU CAN SEE IN THE NUTRIFACTS THERE IS NO FAT IN POTATOES. POTATOES DON'T MAKE YOU FAT. YOU MAKE YOU FAT WHEN YOU FRY THEM IN OIL. ANY OIL. DID YOU KNOW THAT LARD AND OLIVE OIL HAVE THE SAME AMOUNT OF CALORIES PER POUND? THAT WOULD BE 4000 CALORIES PER POUND. 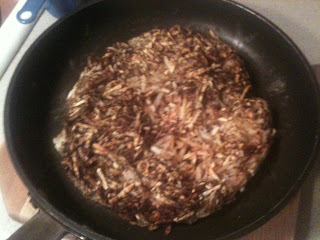 SO STOP BLAMING MY GOOD FRIENDS FROM IDAHO/PERU AND THINK ABOUT HOW YOU COOK YOUR POTATOES. IF YOU WANT A QUICK PRIMER ON OLIVE OIL CHECK OUT THIS SHORT VIDEO FROM REGISTERED DIETITIAN AND ALL AROUND FUNNY GUY JEFF NOVICK. I EAT POTATOES JUST ABOUT EVERY DAY. DID YOU HEAR ABOUT THE GUY THAT ATE NOTHING BUT POTATOES? HE GOT HEALTHY EATING 20 POTATOES A DAY JUST TO PROVE TO SKEPTICS THAT IT WON'T MAKE YOU FAT OR SPIKE YOUR BLOOD SUGAR. YOU CAN READ JEFF'S ARTICLE ABOUT IT HERE. 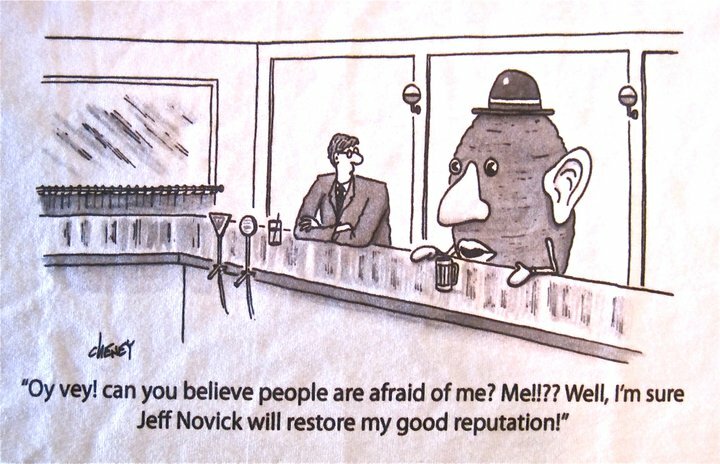 IF YOU REALLY WANT TO GET GEEKY WITH THE FACTS READ JEFF'S ARTICLE ABOUT POTATOES AND DIABETES. OK, ENOUGH SOAP BOXING ABOUT POTATOES. LET'S GET ON WITH THE RECIPE! I EAT THESE HASHBROWNS OR SOME VARIATION ALMOST EVERY DAY. THEY ARE QUICK AND EASY. THE TECHNIQUE IS REALLY SIMPLE. EXPLAINING IT WITH NO VIDEO IS NOT. SO DON'T GET DISCOURAGED IF IT LOOKS TOO HARD. I SWEAR IT'S NOT!!! SPRINKLE CHILI POWDER AND BLACK PEPPER ALL OVER. USE AS MUCH OR AS LITTLE AS YOU LIKE. 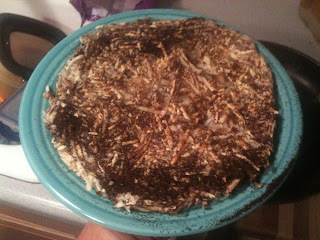 WITHOUT STIRRING WHATSOEVER-COOK COVERED OVER HIGH HEAT FOR 8-10 MINUTES. 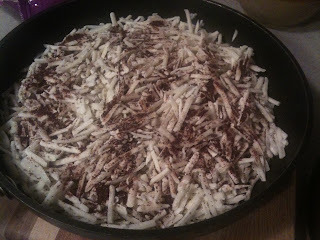 CHECK SEE IF THE POTATOES ARE BROWNING ON THE EDGES. IF SO PROCEED! IF NOT COOK SOME MORE. USING A RUBBBER SPATULA PULL THE POTATOES TO THE CENTER OF THE PLATE ENSURING THAT NOTHING IS STICKING TO THE OUTER RIM OF THE FRYING PAN. LAY A DINNER PLATE OVER THE POTATOES. PLACE YOUR HAND ON THE PLATE AND QUICKLY FLIP THE PAN OVER. YOUR POTATOES SHOULD BE SAFELY ON THE PLATE WITH THE COOKED SIDE UP. IF THEY ARE ON THE FLOOR OR THE CEILING OR YOUR CAT...YOU DID IT WRONG. START OVER. SEE MY ARM UNDER THERE? WE ARE HALF WAY THERE!!! 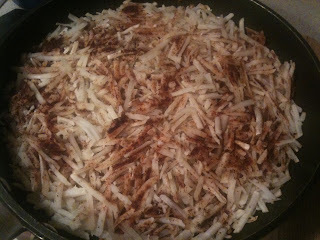 NOW SLIDE THE POTATOES OFF THE PLATE AND BACK INTO THE PAN. YOU JUST FLIPPED YOUR TATERS!!! GOOD JOB! 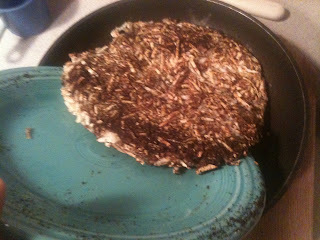 COVER AGAIN, LOWER HEAT TO MEDIUM, AND COOK FOR AN ADDITIONAL 4-5 MINUTES. 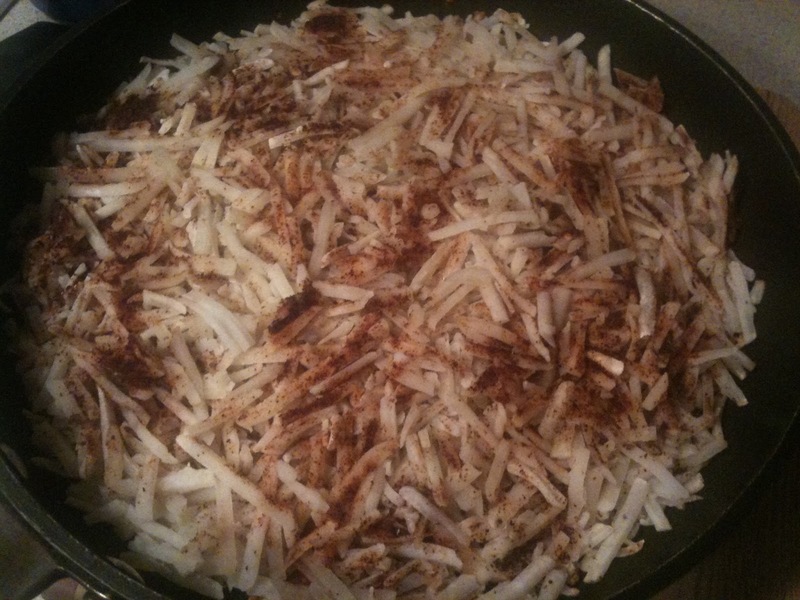 USE THE SAME DINNER PLATE METHOD TO GET THE POTATOES OUT OF THE PAN. THAT'S IT! THE TECHNIQUE MAY LOOK HARD BUT I ASSURE YOU IT IS SUPER EASY. 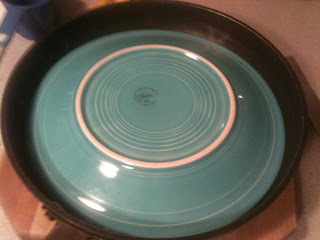 JUST HAVE SOME CONFIDENCE FLIPPING OVER THE PLATE AND YOU WILL BE FINE. NOW TOP WITH YOUR FAVORITE SALSA, HOT SAUCE, KETCHUP OR SRIRACHA. 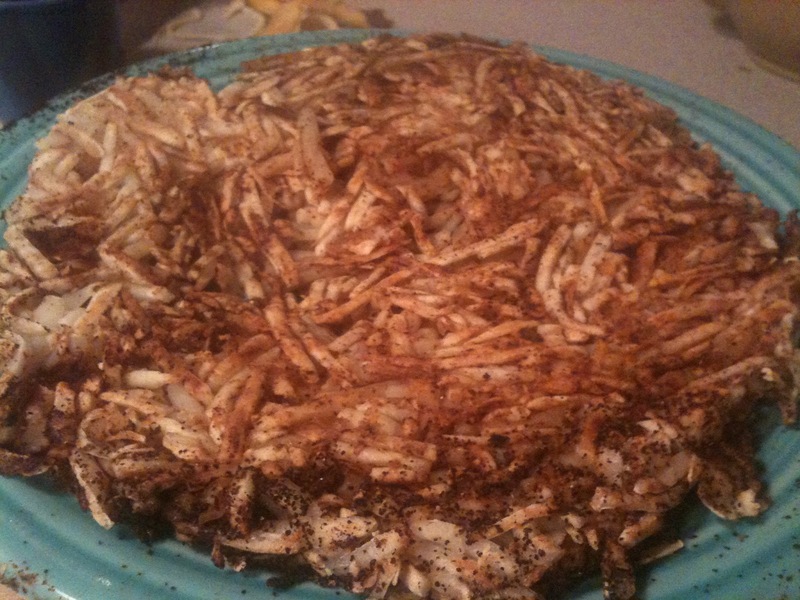 I HOPE YOU ENJOY THESE HEALTHY POTATOES AND MUCH AS MY FAMILY AND I DO. Wow! 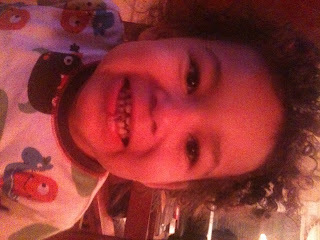 Thanks soooo much for sharing and I'm happy for your and your family that you are on this path. I'm hoping to do the same. I found your story very interesting. My question is...why do you think that you were successful after the McDougall trip and not after the 30 day attempt? Thank you. That is a great question Karen. The McDougall immersion gave me tons of detailed nutrition information specifically Dr. McDougalls main tenet of eatimg starch based foods. In many other plans they actually discourage diabetics from eating white potatoes (Furman, Barnard) So on one hand it was liberating to hear him say I could eat potatoes as much as I want as long as I kept the fats out of it. There were also cooking demonstrations from various chef's that came in for the day and definitely inspired me. Particularly Miyoko Shinner who turned me on to Kabocha squash.The details of how to read labels and simple ways to cook on the cheap from Jeff Novick as well as the education around excercise and the time to do it 3 times a day while I was there. To be honest though the "glue" that held all of this new found wisdom about food would have been utterly useless if not for the psychological understanding and tools that we got from Doug Lisle. In fact just before he spoke on the second day (we had heard the starch solution and dairy talks from Dr. McDougall)I recall feeling like, ok I get it eat your veggies lay off the fat...HOW THE HELL AM I SUPPOSED TO DO THAT!? Dougs lectures taught us that we are not bad people for eating the way we had. Its not that we just need more self control or discipline. As an animal it is completely natural for us to want to consume these calorically dense foods. Check out the knowledge tab for some of this. So to sum it all up...tons of lectures, great food all week, tons of great exercise and the knowledge of how to implement this into our busy lives is why the immersion worked where my own month long experiment did not stick. Thank you google. 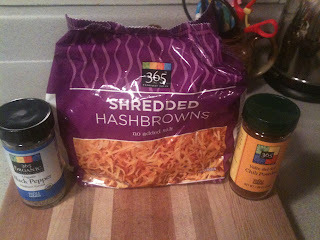 A search on youtube for oil free hash browns came up empty but thanks to google I found what I'm looking for. Thank you for making this page. Never rely on one single search engine. So, are you eating any nuts and seeds at all? There are several salad dressings that use cashews to "cream" them -- do you avoid nuts and seeds altogether? At times I have eaten zero nuts and seeds. Right now I just try to limit them. A lot of vegan diets are very high in fat. The one that I have practiced is low fat for a reason. I am not saying that it is THE diet for everyone but it worked for me. When i first started i was very dogmatic about it and turned some people off and I have since softened my approach as I have learned that what worked for me does not necessarily work for everyone. Is it safe to use high heat on non stick pans? Potatoes. You know I love em. 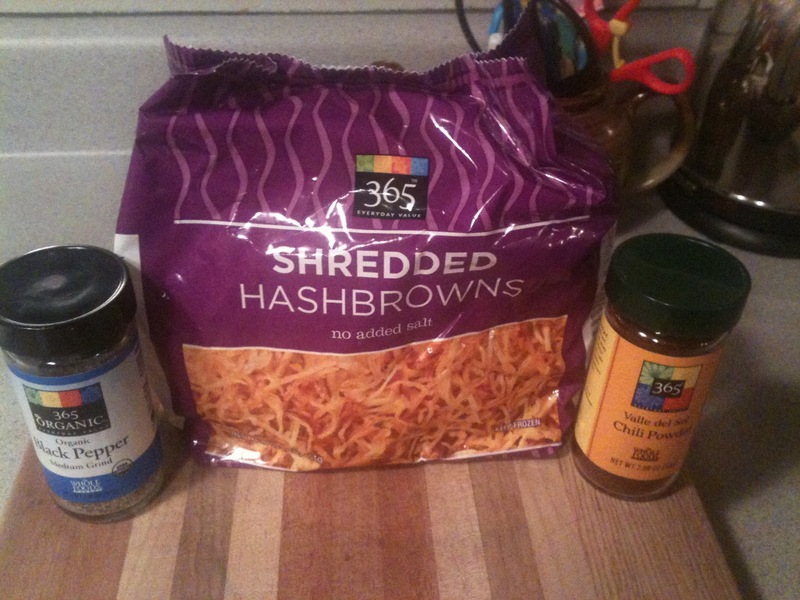 For the last year I have relied on the hash brown to get me going in the morning. 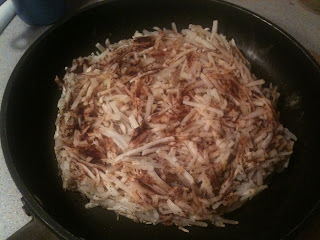 It dawned on me today that I have been neglecting what used to be my favorite way to eat potatoes for breakfast. 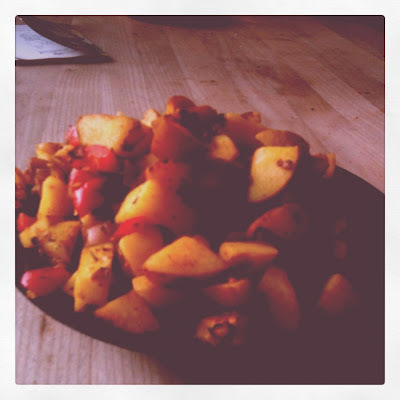 The home fries version. I suppose my recipe here will be a bit contradictory since nothing will be technically "fried" as I don't use any oil. Just like the hash brown recipe this one is close to impossible without a good non stick pan. 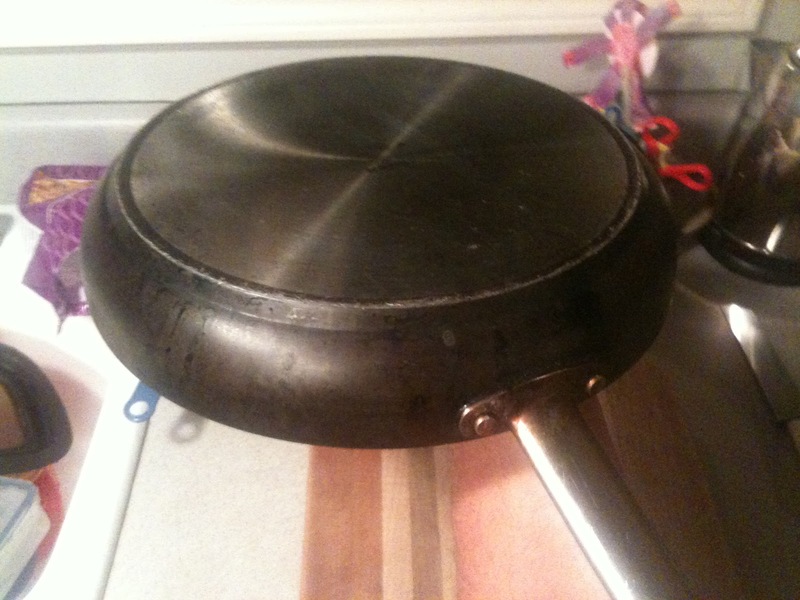 I stand by my Le Crueset non-stick pan. It has an Eco-friendly coating which means you can preheat it without gassing your food. 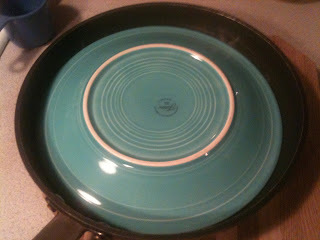 It also has a heavy bottom so it cooks evenly and has virtually no hot spots. 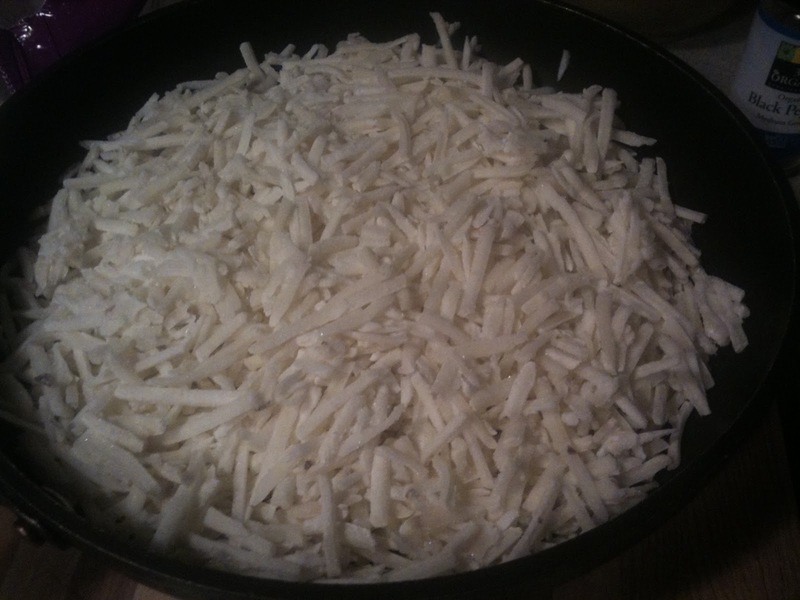 First you will dice your potatoes about a 1/2 inch thick. FIRST THINGS FIRST IS IT YALANCHI, DOLMA, OR SARMA? 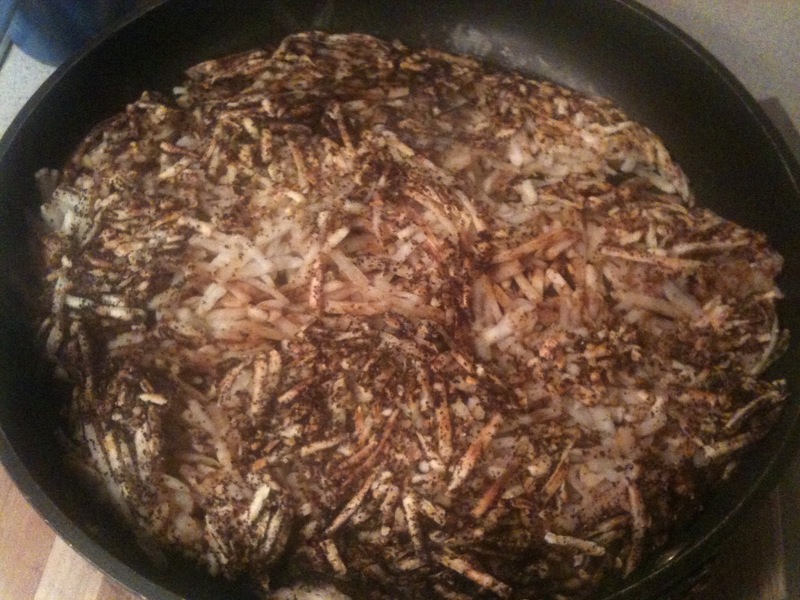 MANY MIDDLE EASTERN CULTURES HAVE A VERSION OF THIS DISH. MOST COMMONLY DOLMA. IN ARMENIAN AND TURKISH CUISINE THE DOLMA IS MEAT FILLED. WIKIPEDIA STATES- DOLMA IS AVERBAL NOUNOF THETURKISHVERBDOLMAK, 'TO BE STUFFED', AND MEANS 'STUFFED THING'. THIS IS WHY DOLMA CAN BE STUFFED CABBAGE LEAF, GRAPE LEAF, PEPPERS, TOMATOES, OR ANYTHING ELSE YOU WANT TO STUFF WITH THE MEAT AND RICE FILLING. 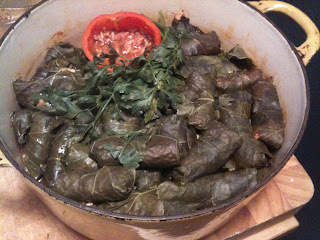 SARMA SPECIFICALLY REFERS TO A LEAF WRAPPER SUCH AS GRAPE OR CABBAGE. AGAIN, WIKIPEDIA- DOLMA COOKED WITH OLIVE OIL WITHOUT MINCED MEAT IS SOMETIMES CALLEDYALANCIWHICH MEANS 'LIAR' OR 'FAKE' INTURKISH.IT IS 'FAKE' BECAUSE IT DOES NOT CONTAIN MEAT. ALL THAT BEING SAID I LIKE TO CALL IT YALANCHI SARMA. IF YOU ROLL EM YOU CAN CALL EM WHATEVER YOU LIKE. YOU EARNED IT!